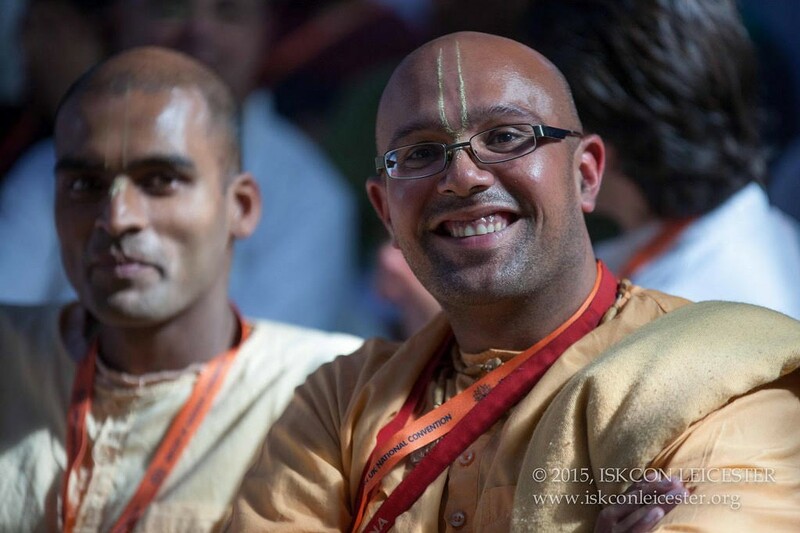 Devotees from across the UK came together today in Leicester for the first ever ISKCON UK National Convention, organised as part of the celebrations for ISKCON’s 50th anniversary. 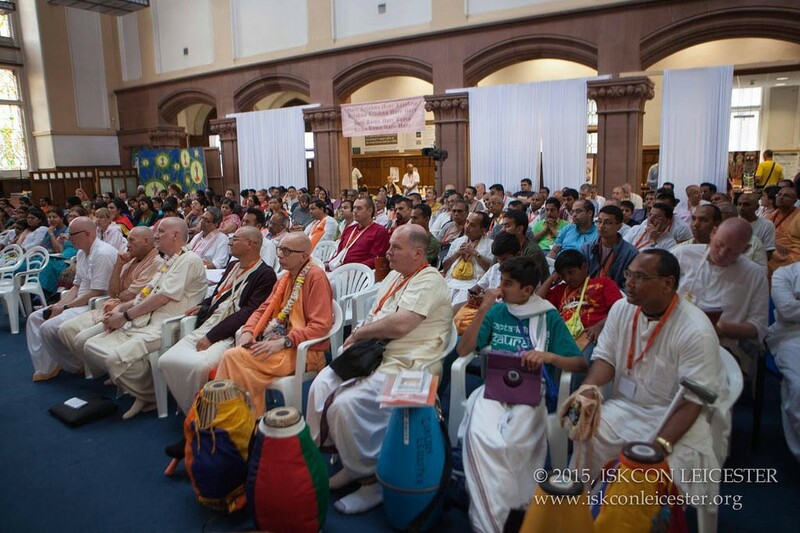 Taking place in ISKCON Leicester’s magnificent Grade II listed building in the city centre, hundreds of devotees took part in a day of collaboration and learning, and celebrated the successes and new developments taking place in the UK today. 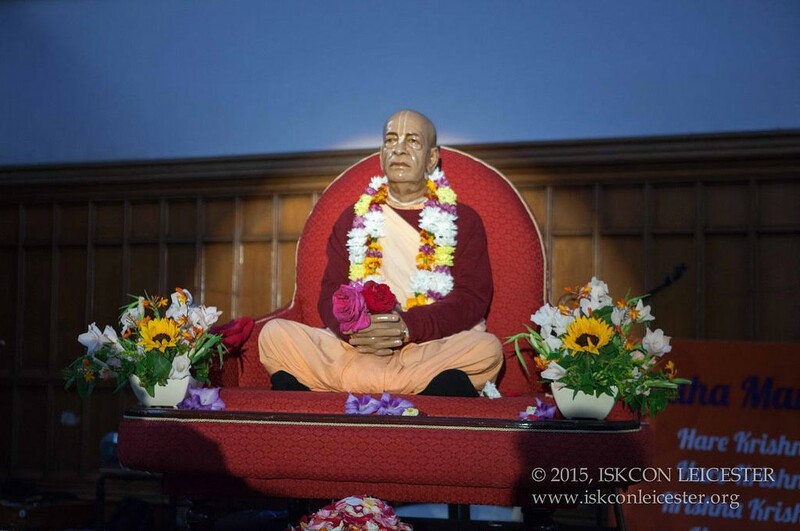 This was the first time in the history of ISKCON UK that a maha sanga was organised on this scale. 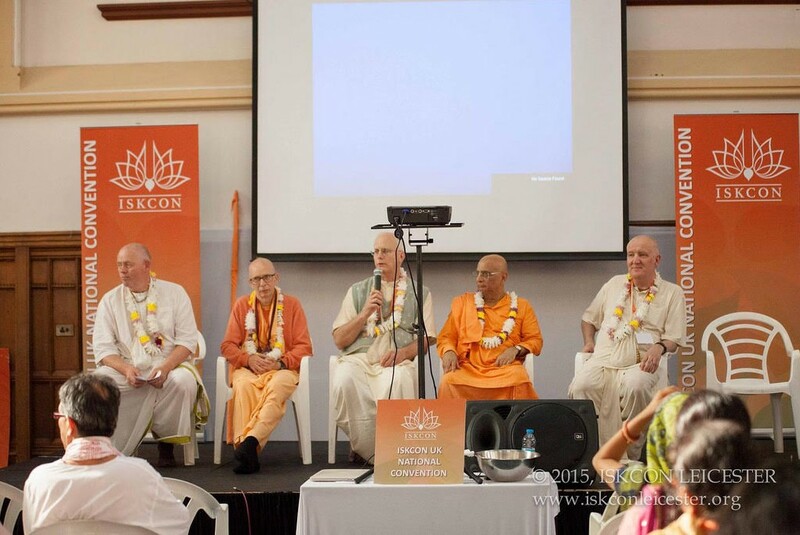 Inspiring presentations were delivered by many senior devotees, including HH Bhakti Charu Swami, who spoke about unity in diversity in ISKCON. 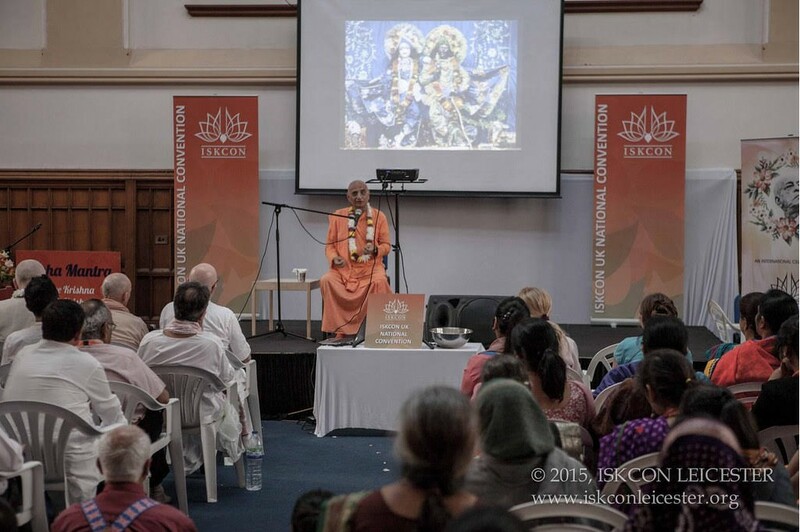 In addition, devotees heard from GBC HG Praghosa Das, who spoke about HDG Srila Prabhupada and celebrating the successes of ISKCON UK, and from GBC Minister for Communications HG Anuttama Das, who delivered a talk on ISKCON being 50 years young and roaring on. 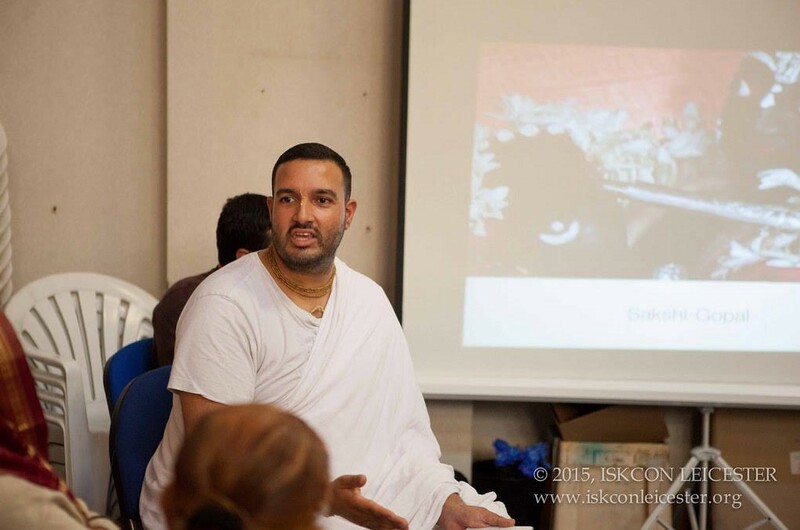 There were also a number of exciting workshops delivered by devotees from across the UK; HG Jahnavi Harrison discussed kirtan yoga, HG Visnu Murti Das ran a deity worship workshop, HG Visvambhara Das spoke about the art and science of book distribution and HG Sutapa Das discussed sankirtan and outreach. 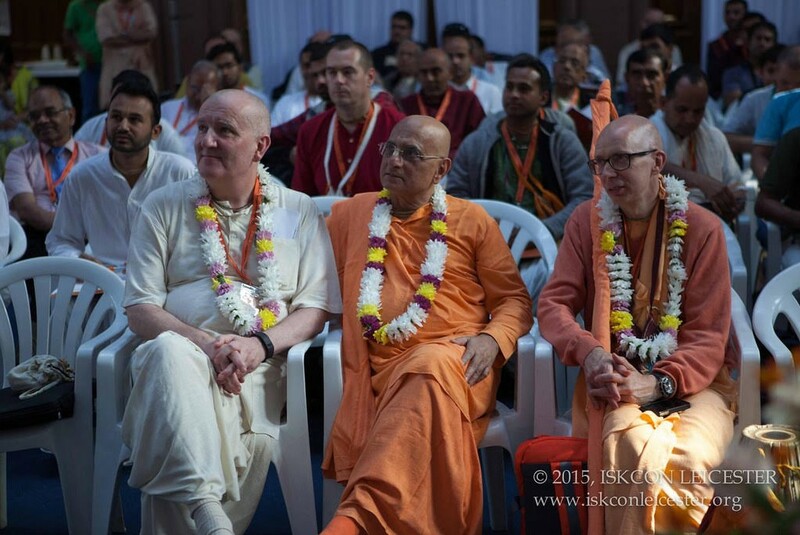 It was an inspiring day that really fostered a sense of unity and positive communication, and celebrated the wonderful achievements made by ISKCON temples from across the UK.